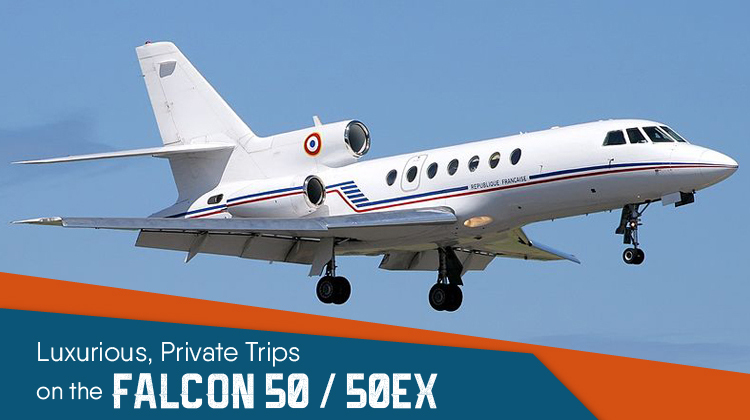 If you’re taking on an average of 4-hour flight, it would be a practical and even luxurious idea to hop on the Falcon 50 / 50EX. This aircraft can seat up to 9 passengers and it has the complete facilities to ensure you’ll have a comfy trip to your intended location. Coming from Toronto, Canada, this aircraft lets you reach as far as Norway, Portugal, United Kingdom, Isle of Man, Ireland or Alaska, USA. Additionally, the Falcon 50 / 50EX has the amenities to freshly prepare your meals, snacks and beverages. Upon entering the aircraft, you’ll see the cockpit on the left and galley on the right. The Falcon 50 / 50EX’s standard galley is usually stocked up with alcoholic beverages, wine glasses and all related cutlery to ready up your refreshments. To maximize your flying experience on the Falcon 50 / 50EX, be sure to ask about its exact list of facilities with the operator. Know more about its specifications and schedule for your very own flight today. As you charter for a private Falcon 50 / 50EX, you’ll get to enjoy its standard, comfy and leather made seats. The passenger chairs may be reclined, plus a divan is separately placed in an adjacent position. Each seat also has a lengthy legroom which allows for you to stretch your feet out and relax. On the side, tables may also be pulled out so you may instantly relish your meals or snacks throughout the flight. The same tables can be used as platforms for laptops, so passengers may still stay on top of their projects even while flying. The Falcon 50 / 50EX has a competitive speed which lets you reach over 5,000 kilometers’ worth of flying distance in less than 5 hours. Instead of having to wait around in long lines and cramped airports, this aircraft makes it more fun for you to reach other continents. Will you also happen to max out the flying range of this plane? If so, it would be safe to confirm its allowable passenger count and luggage weight with your operator. Given your intended location, routes and flight plan, a lighter aircraft lets you reach farther distances at much faster paces. 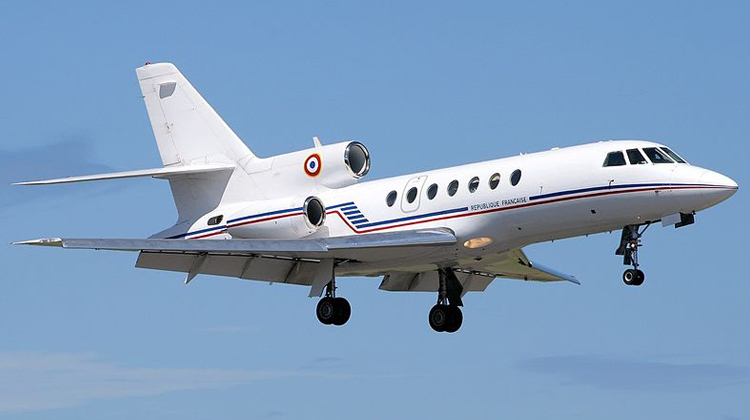 Manufactured by Dassault Aviation, the Falcon 50 / 50EX had its first flight in 1976. It has over 350 units produced and being flown all over the world. Most of its major operators come from France, Italy, Portugal, South Africa, Spain, Switzerland and many other countries. Additionally, the Falcon 50 / 50EX has Hawker 800 as one of its major competitors.